Cut from pure silk, the Elisa feels as good as it looks. The silk is specially washed to give it a matte finish and subtle texture. 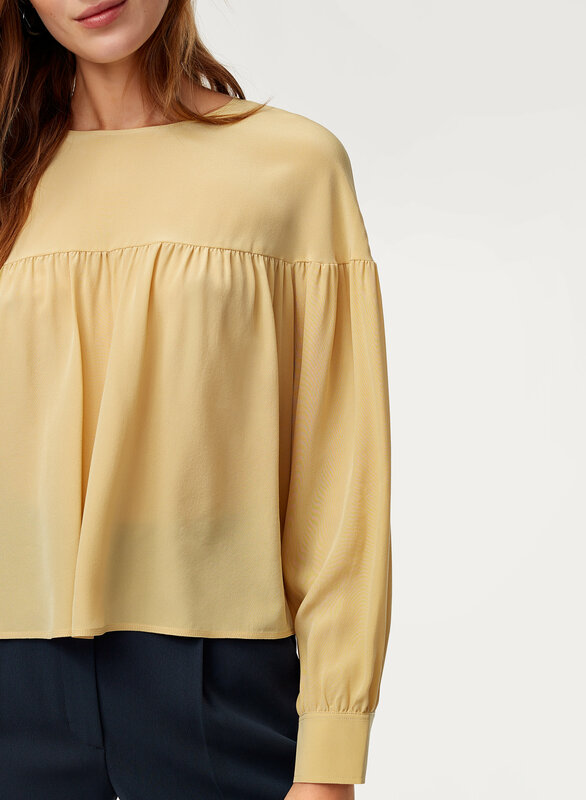 This blouse is super sheer! It’s so boxy that it doesn’t give any shape to the body. 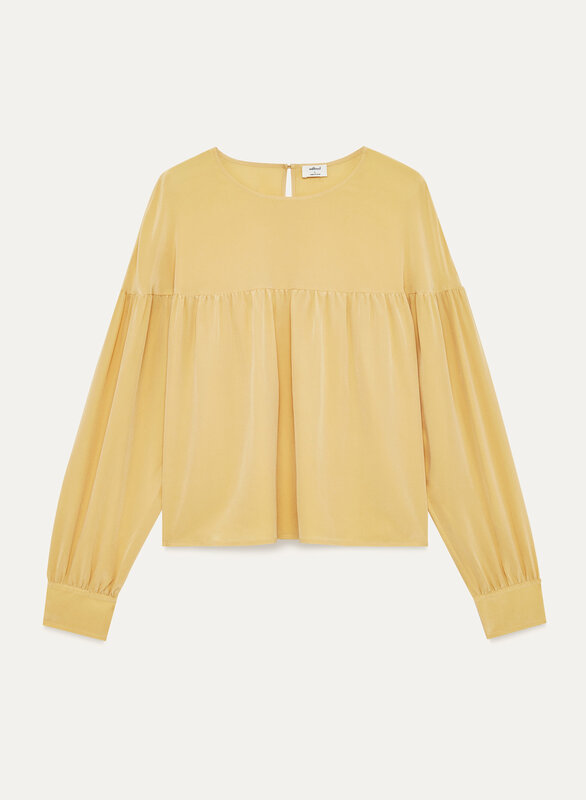 Maybe I could have went down a size but it’s not a flattering top and will be returning it.